Gorgeous fresh blues range from light periwinkle to rich navy, with burgundy and neutral cashmere, to a fresh sprig of light mint to make up this month’s Color Challenge! You can use any, or all, of the shades to create your Prima project, then tag us on social media! Magically this color challenge works with all of our newest collections: Moon Child, Beautiful Blues, and Lavender Frost! 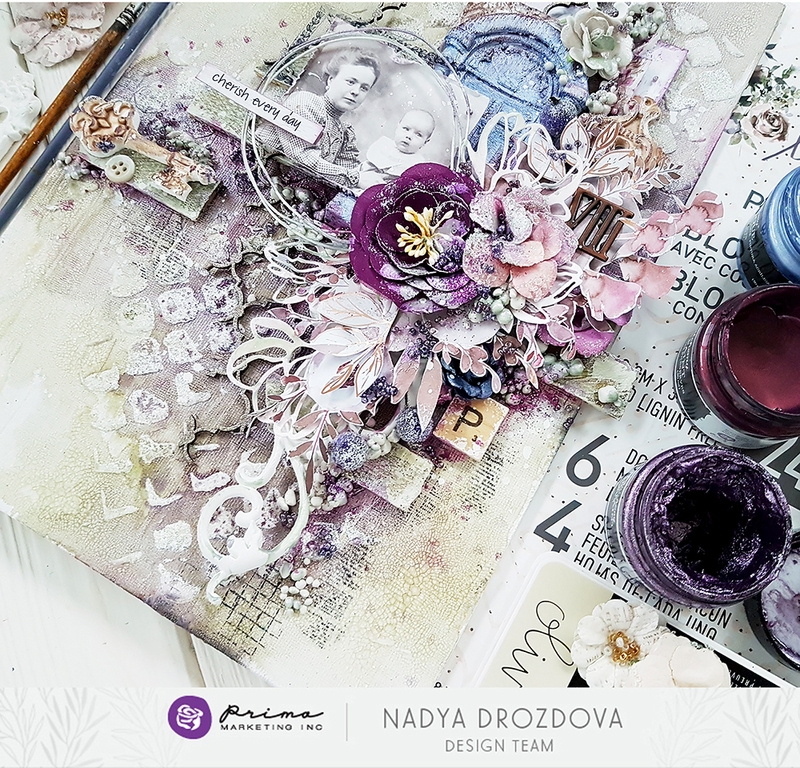 Now, our gals have been busy creating with the luscious palette…just to inspire you! 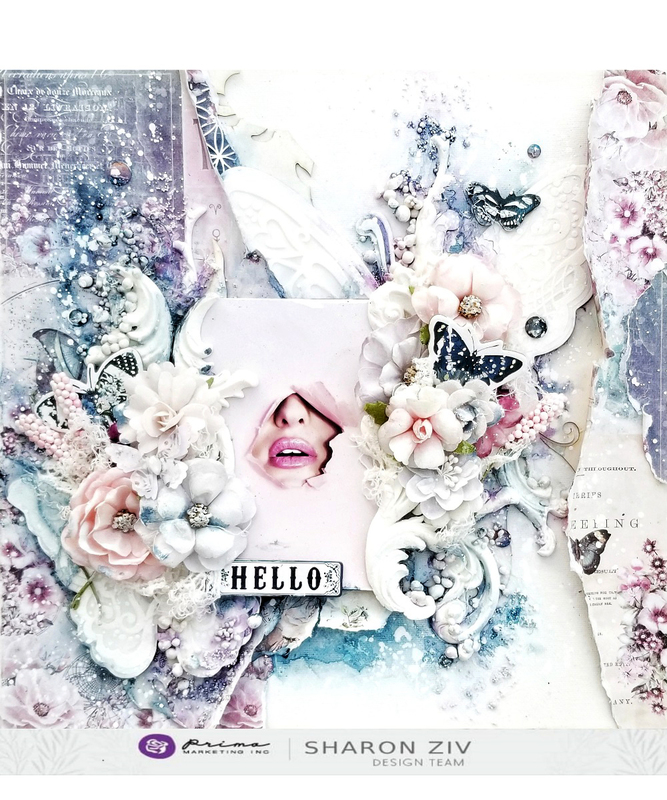 Join me today on Facebook Live where I will be sharing how to create really cute, removable “ornament” cards with the luscious Lavender Frost collection! I even have a scented mixed-media technique to show off! with a new product!